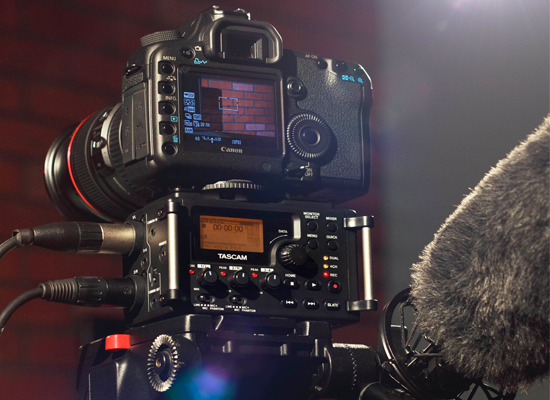 DR-60D is the new audio recording solution for on-set filmmakers and videographers using DSLR’s. For years, filmmakers have been trying different methods for recording audio, using bulky recorders designed for music and trying to transform the inferior audio technology built-into DSLR’s. Now TASCAM has designed an answer that pros and amateurs alike have been waiting for.